Recently, I was asked to compile a list of what I thought were the top best practices, a blueprint, a cheat sheet, take-away for a conference I was speaking at, on how to succeed at Facebook marketing. The reviews were good so I wanted to share them with you. Here are The Top 25 Facebook Best Practices. Follow this cheat sheet and your Facebook marketing will be successful! Be sure your profile is up to date and complete. So many people created their profiles 4, 5, or even 10 years ago, and never went back to revisit them. Be sure your profile is up to date and is provocative, interesting. It often acts as an on-line resume. (Check all of your social profiles). Don’t just use an over-exposed, out of focused selfie… Take some time with this. Remember, your avatar is going to be someone’s first impression of you and your work. Think it through. It has to be personal and professional. People are connecting with you, not your company. Carry your company’s brand images, fonts, and colors throughout. Use your logo everywhere. Create good images that match the style of your web site and your other marketing materials. Use good pictures of you and your happy customers. Even use the same colors and fonts. When it all matches, people feel comfortable moving from one digital property to another. You company has look and feel continuity. Post fresh content 3 to 4 times per day or more. Schedule it. Post often. When you’re not in the conversation, you are quickly forgotten about. Use a scheduler like HootSuite if you need to, but keep it fresh with live updates. Stay in the conversation not only with fresh posts, but especially with Likes and Comments on other people’s posts. Make posts interactive by asking questions. Create the conversation. Remember to not make your conversations “dead ends”. Always ask your readers to respond with an answer, a confirmation, or a counter-point. Those posts are the one people like to participate in. These create the conversation. Content must be relevant to your customers and product /service. Be sure to ALWAYS look at what you post from the readers perspective. That’s called the WII-FM or “What’s In It For Me”, question. There’s also a “IDKT” or “I Didn’t Know That” question. If you can make your posts fit either of these criteria, you win. Add Share and Like buttons to your blog and web site to drive fans. Make it easy for your followers to follow you on Facebook and other platforms. While most people have favorite platforms like Facebook, Pinterest, or Twitter, more than likely, they aren’t following you on other platforms. Ask or they will never think of it on their own. Use multimedia such as images, videos, audio, and downloads. We all want to be entertained. We want the information experience to be as rich as possible. People really prefer videos over images and images over just plain text. How do YOU read Facebook status updates? All of the ones with videos, half of the ones with images, and none of the ones with just plain text. Right? Your customers do to. Personalize your status updates often to show you are a “real” human. Yes… I am guilty of “robo-posts”. I travel a lot and run three companies. I also have a responsibility to my fans and book readers to post. So, I post good IDKT content automatically through HootSuite five times per day and live stuff as often as it happens. Video testimonials are powerful content for building trust and SEO. Testimonials in any format are the BOM! As I mentioned above, video is the best way to communicate. So, imagine how effective “video testimonials” would be?! Great! People want to see other people like themselves happy with your product or service solving a problem similar to theirs. Personal relationships lead to trust. Trust leads to revenue. Social media is nothing more than a new set of marketing tools. Remember, marketing is about connecting with prospects, sharing your message, and building a relationship. By connecting, the prospect builds a relationship with you and your brand, which eventually leads to trust. That trust leads to revenue so, when your prospect is ready to convert from a prospect to a customer. It’s you they think of first. Post human interest, industry news, and helpful tips. Human interest really gets people’s attention, but remember to keep it relevant and non-political. There are two major political parties. The first time you choose sides, you loose at least half of your readers. There is plenty of good stories you can post about that doesn’t polarize your followers. Be sure to have a company blog and use it for credibility and SEO rank. Blogging is the best way to gain credibility with your prospects. See “Personal relationships lead to trust” above. Being out there talking about your industry’s subject matter in an authoritative way, gives you credibility. Your readers will begin to trust you as an industry leader and buy from you. It also gives you “Link Love” and “Google Juice”. Link Love is people linking back to your relevant content and Google Juice is the number of pages Google and other search engines have indexed for you and your industry keywords. Both drive you to the top of the search engines! Syndicate your blog on Facebook for even more credibility and SEO ranking. Use RSS (Really Simple Syndication) buttons everywhere you can. Be sure to cross promote you blog on your Facebook page. Use every platform and marketing tool you have to drive people to your other marketing tools! That’s Fusion Marketing. See LinkedIn article: http://linkd.in/Vhccy5, “This Is What Comes After Social Media”. Post free stuff along with your content; coupons, discounts, give aways, and specials. Address negativity openly, clearly, and QUICKLY. It’s a conversation! If you went to a business event and was standing around and someone said “I hear that you company got accused of fraud! What happened? !” And you stood there staring at everyone for several minutes and walked away. What would the group think you and your company? It’s the same. Show everyone how you address difficult situations. Always take the high road! Use negative comments as an opportunity to show your customer service skills. Dealing with negative comments is really easy. Almost always, a negative comments is caused by a misunderstanding. Show your customer how you are willing to show them the facts and help them. And, what measures you are willing to go through to educate and make them happy. Your readers (prospects) will see that too! Make it easy for customers to find you. Be where they are. It doesn’t matter if you like Facebook or don’t like Twitter or think LinkedIn isn’t right for you. You have a responsibility to be where your customers and especially, where your prospects are. With 1.3 billion people on Facebook, they are there. You need to be too! Include Facebook in all of your traditional, digital, and other social media. Include you face book “thumbs up” on all of your media. You have to constantly remind people to connect on every one of your social platforms. This is called Fusion Marketing, where you make sure that every marketing tools is driving exposure to every other tool. See number 14 above. You Can’t Manage What You Don’t Measure” Measure & analyze everything to know what works! Measure everything. I know you’re thinking, sure, when I can. It’s important to start thinking in these terms. Figure out ways to measure every campaign and every effort. This way you will understand what’s working and what isn’t. This is important, because you can then get better at your marketing, but more importantly, you can take financial and human resources from marketing that isn’t working and apply them to marketing that is working. It becomes a double benefit! Drive offline customers to Facebook with signage, reminder cards, and give aways. If you have a brick & mortar location, be sure to use every opportunity that you touch your customers to drive them to participate in your Facebook page. Use door stickers, reminder cards, table tents, put it on your menus, and signage. It’s all about that two way dialogue, because if someone interacts with you on Facebook this morning, you probably will see them later today. Train your staff to promote your Facebook page (and other social platforms). Your employees are the best salespeople you have. 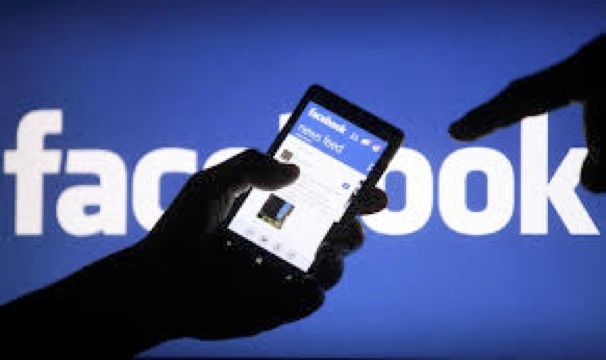 Train your receptionist to remind people that you have a facebook page, if you are a restaurant, make sure your hostess, barkeep, waitresses, and cashiers all remind your customers to connect with you. Include relative outside expert content in your posts. Believe it or not, sometimes people just want to hear something from someone other than you. Engage your readers with quotes, links, charts, studies, inforgraphics, white papers, and excerpts from other industry leaders. Re-posting is fine if the content is appropriate and relative. And, it’s refreshing! Facebook and all social media is about being Authentic, Sincere, and Transparent. Be yourself. That’s who people want to connect with. Not a corporation, not a marketing agency, not an intern. Take the time to craft your posts even if you pay someone else to post and schedule them. People don’t buy from corporations as much as they by from individuals. If you went to buy a new car and really didn’t trust the salesperson, would you still but that car from them? People want to connect with other people. If you aren’t transparent, your customers will see right through you! 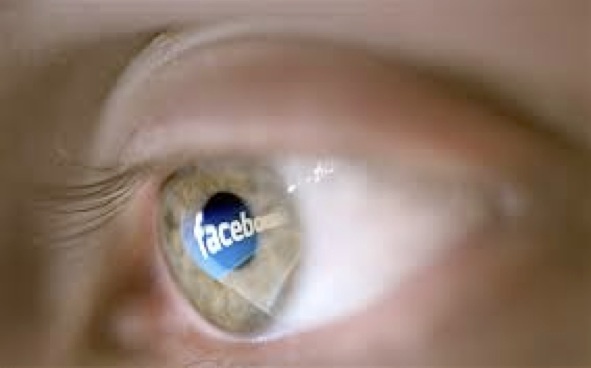 Try Facebook’s hyper-targeted pay-per-click advertising. Now that most of our favorite social platforms have gone public, the management of these companies are no longer responding to it’s members, they now respond only to Wall Street. Every one has, or is going to “pay-for-play”. Take advantage of Facebook’s incredible ability for hyper-targeting. If you want your ad to only be seen by women between the ages of 35 and 45, with a Bachelor’s or higher, with the word “law” in their profile, you can do that. And, you only pay when someone clicks on your ad. The impressions are free. Also, Facebook’s costs are significantly lower than Google’s pay-per-click advertising. Try it, you’ll be surprised how effective it can be! Follow these Top 25 Facebook Best Practices and you will crush it! Finally, I suppose some of you are wondering why I posted a Top 25 Best Facebook Practices on LinkedIn. That’s because all these all apply here on LinkedIn too! And, to Twitter, and Pinterest, and Instagram, and to any social network you participate in! Here is the list again in a “cheat-sheet” format where you can print it out, cut off the top, and paste it next to your monitor the next time you launch a Facebook campaign or even make a post! ?? Be sure your profile is up to date and complete. ?? Use an interesting avatar. ?? Carry your dealers brand images, fonts, and colors throughout. ?? Post fresh content 3 to 4 times per day or more. Schedule it. ?? Make posts interactive by asking questions. Create the conversation. ?? Content must be relevant to your customers and product / service. ?? Add Share and Like buttons to your blog and web site to drive fans. ?? Use multimedia such as images, videos, audio, and downloads. ?? Personalize your status updates often to show you are a “real” human. ?? Video testimonials are powerful content for building trust and SEO. ?? Personal relationships lead to trust. Trust leads to revenue. ?? Post human interest, industry news, and helpful tips. ?? Be sure to have a dealership blog and use it for credibility and SEO rank. ?? Syndicate your blog on Facebook for even more credibility and SEO rank. ?? Post free stuff with your content; coupons, discounts, give aways, & service specials. ?? Address negativity openly, clearly, and QUICKLY. It’s a conversation! ?? Use negative comments as an opportunity to show your customer service skills. ?? Make it easy for customers to find you. Be where they are. ?? Include Facebook in all of your traditional, digital, and other social media. ?? You Can’t Manage What You Don’t Measure” Measure & analyze everything! ?? Drive offline customers to Facebook with signage, reminder cards, and give aways. ?? Train your staff to promote your Facebook page (and other social platforms). ?? Include relative outside expert content in your posts. ?? Facebook and all social media is about being Authentic, Sincere, and Transparent. ?? 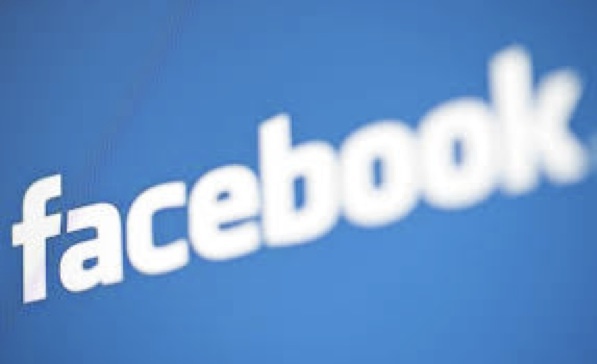 Try Facebook’s hyper-targeted pay-per-click advertising. If you like this article, please hit “Like” and tell a friend!